Ever since I can remember I’ve always had a great passion for reading, I think I get it from my mum, she’s obsessed with books. This is something I definitely want to instill in Max. 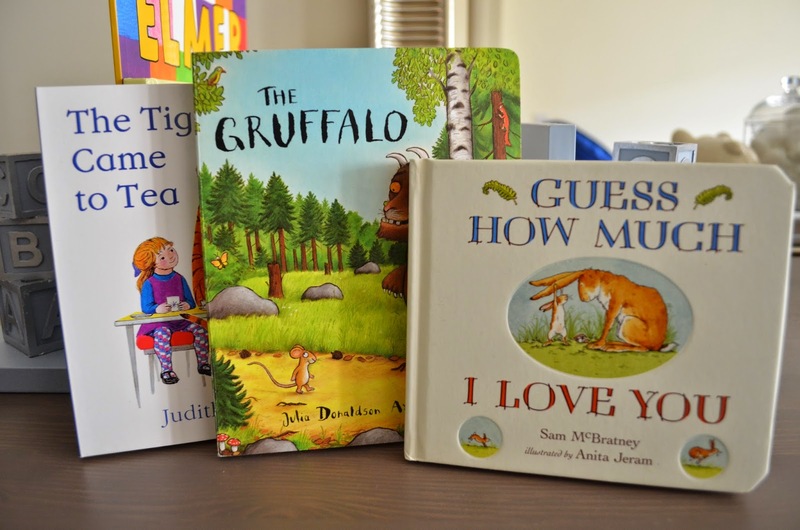 I think reading is important for babies not just visually but it’s nice for them to hear their mummy/daddy read in animated voices it can be quite fun and also very soothing. Max and I grab 10 minutes before bedtime and we snuggle up together and we read something from his book collection. Here’s a peak at a few of his favourites. The Tiger Who Came to Tea is a classic and I remember reading this as a child. Can you believe this book was first published over 30 years ago! The Grufflo, I thought this one might visually scare Max but no! He loves the voices I make and we tend to grab this one to read most evenings. Guess How Much I Love You is a timeless book with beautiful pictures, this is another bedtime favourite of ours. You ready for a walk down memory lane? 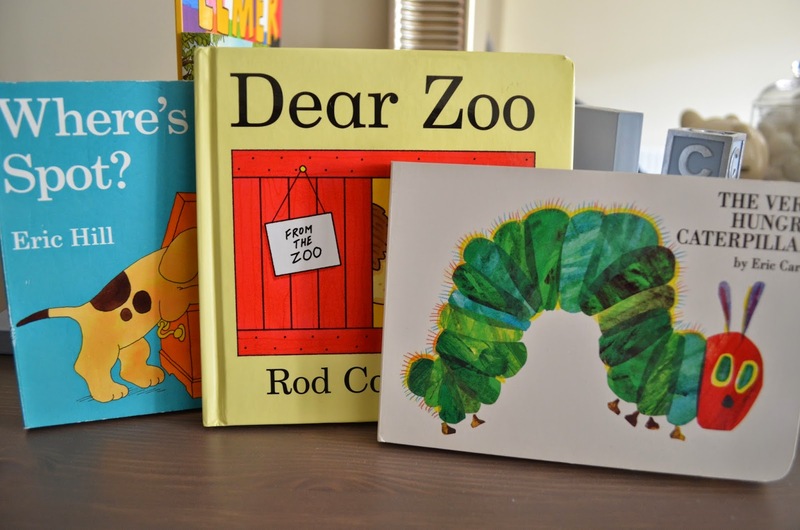 These two books are firm classics and definitely had to be part of the book collection, What I love about Where’s Spot and Dear Zoo is there both lift the flap books. Which is great because Max finds this very entertaining. The Very Hungry Caterpillar Another classic and great read! I remember as a child having a caterpillar cake for my birthday because I was so obsessed with this book! They also do a puppet version of The Very Hungry Caterpillar which is on my list to buy. Beatrix Potter was one of my all time favourites and I want to make sure it’s one of Max’s too. 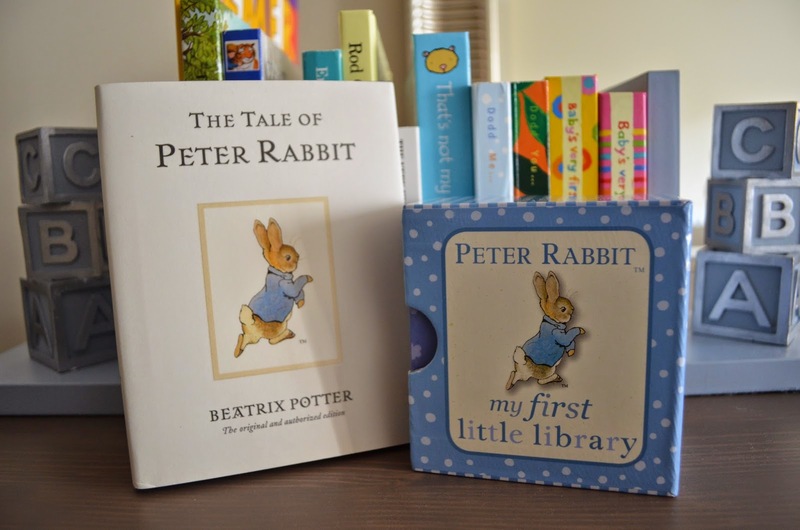 So far in his Beatrix Potter collection we have The Tale of Peter Rabbit and also Peter Rabbit, my first little library. 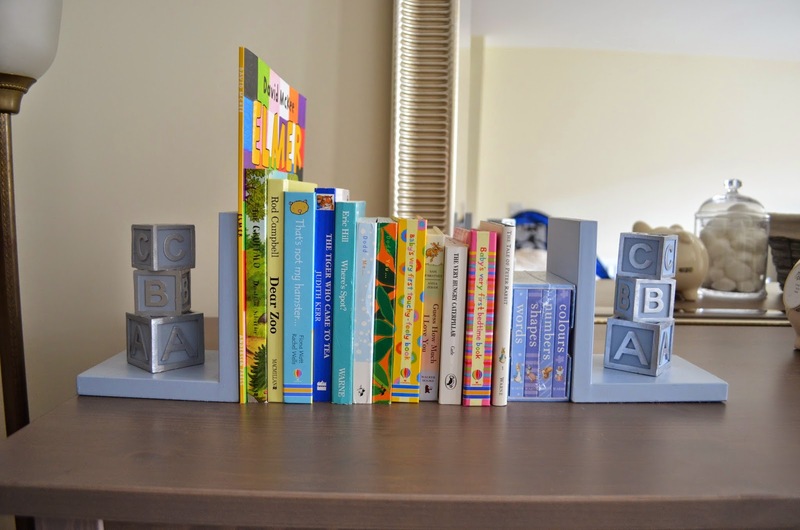 The little library is brilliant as it’s also a good learning tool featuring words, numbers and colours. What do you read to your little ones before bedtime?